1. High polishing efficiency and long life. 2. Good self-sharpening and No-blocking. 3. Low grinding temperature and good surface quality of the treatment. 4. Conbination of resin and diamond can make the workpiece more smooth. 5. Used on hand-held grinding machine or handle push type grinding machine. Looking for ideal Granite Grinding Wheel Manufacturer & supplier ? We have a wide selection at great prices to help you get creative. 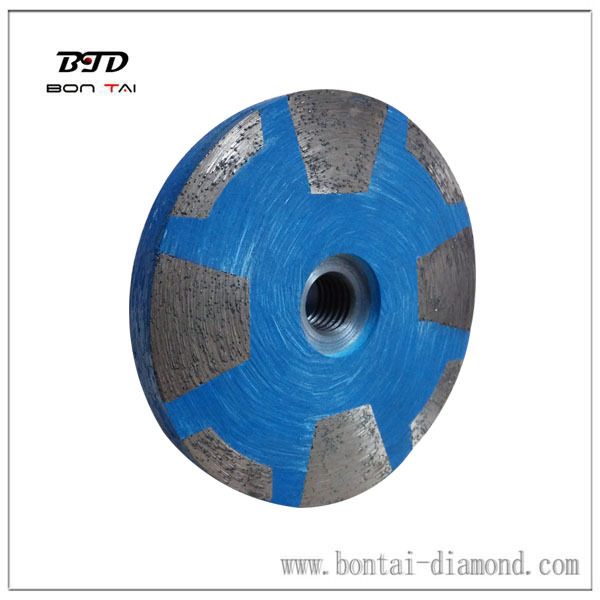 All the 4 Inch Granite Wheel are quality guaranteed. We are China Origin Factory of 5/8-11 Edge Grinding Wheel. If you have any question, please feel free to contact us.